Bonvicini, who has 701 career victories, led the Redhawks to their first WAC championship after reclassification in 2013. Joan Bonvicini guided the Seattle University women’s basketball team from a Division II program to a Division I upstart that won the 2012-13 Western Athletic Conference regular-season title during the Redhawks’ first year of eligibility. 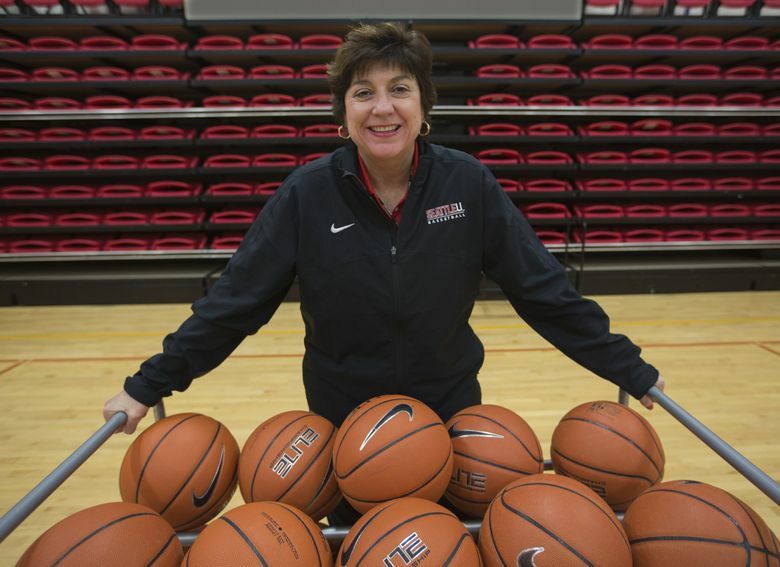 The good times were short lived and Bonvicini – one of the winningest women’s basketball coaches in NCAA history – never duplicated the success following Seattle U’s first year in the WAC. After consecutive 21-loss seasons, Bonvicini ended her seven-year career with SU on Tuesday. She had an 89-127 (. 412) record with the Redhawks. “I am leaving my position at Seattle University as head basketball coach,” Bonvicini said in a statement released by the school. “I want to thank the entire Seattle University community for the opportunity to represent this special institution. Two moments define Bonvicini’s tenure at SU. During their first year in the WAC, the Redhawks steamrolled to the regular-season title with a 15-3 record. However, they were upset 67-64 by Idaho in the WAC tournament semifinals – just missing on a chance to advance to the finals and play for the program’s first-ever NCAA tournament. As conference champion, SU received an automatic berth in the WNIT and lost in the opener. The next three years were a steady decline in wins. The Redhawks were 16-16 in 2013-14 followed by 10-21 and finally 9-21 (3-11 WAC) in 2015-16. Despite a disappointing season, Bonvicini earned her 700th career victory after a 59-45 win over Chicago State on Jan. 9 – making her the 17th Division I women’s coach to reach the milestone. The Redhawks lost 12 of the next 13 games, including a 10-game losing streak to end the season. Before joining Seattle U, Bonvicini, 62, spent 17 seasons at Arizona and 12 at Long Beach State where she began her coaching career. She is 701-421 (.625) for her career. “Coach Bonvicini brought great energy and passion to our women’s basketball program and her leadership is deeply appreciated,” SU athletic director Bill Hogan said in a statement. Seattle U assistant Kristen O’Neill Phillips will serve as interim head coach while an immediate national search for a new head coach takes place.